NEWLY restored Ivatt ‘2MT’ 2-6-2T No. 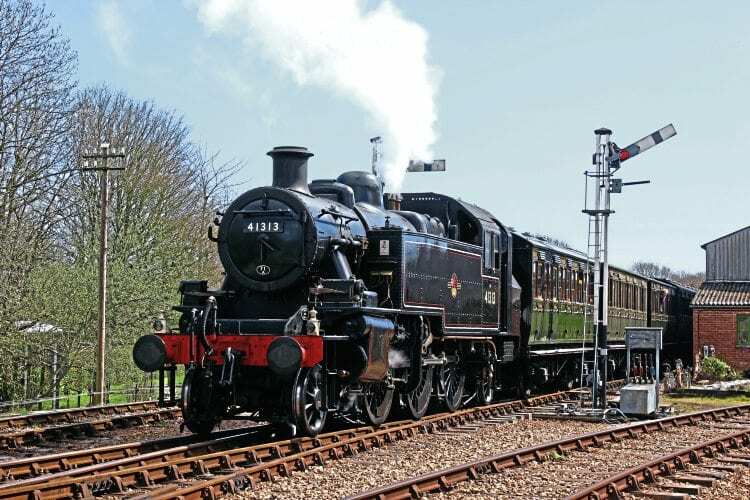 41313 began a new chapter in its 66-year existence on April 4 when the locomotive hauled its first public passenger trains of the preservation era on the Isle of Wight Steam Railway. The loco was restored at the East Somerset Railway (ESR) and returned to the island last October, and other than a few subsequent test runs has spent the winter in dry storage at Havenstreet. Sister engine No. 41298 passed its annual boiler exam and steam test on April 16, and was expected to haul its first trains of 2018 on April 22. No. 41313’s return to active service means all three Ivatt ‘2MTs’ donated to the IoWSR by the Ivatt Locomotive Trust in 2009 are now fully restored, with the two tank engines at Havenstreet and Mogul No. 46447 on loan to the ESR.